The 2012 Australian Open hit our television screens today across the Seven Network (Free-to-Air and Host Broadcaster) and FOX SPORTS 2HD (Subscription Broadcaster). 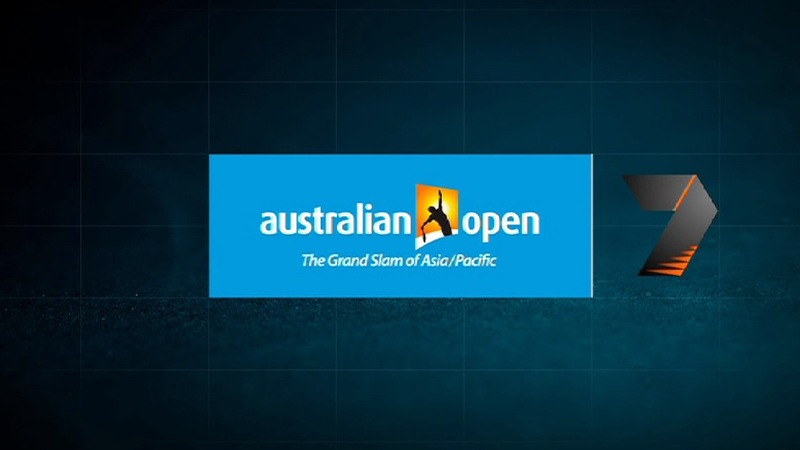 In the lead up to the Australian Open, Seven broadcast the Brisbane International, APIA International and AAMI Classic exclusively on its digital station, 7TWO (these events are not Anti-siphoned listed events). The ratings for these events were very promising and showed the benefits of multichannelling for not only free-to-air networks but also the viewer, by offering them ultimate choice of programming. Also for tennis fans the chance to watch matches that stretched in what would usually be news time on the primary channel. Whilst this is not a new phenomenon it is promising that there are a continued number of sports being exclusively broadcast LIVE on digital channels rather than having to watch delayed coverage or highlights coverage on a main channel. 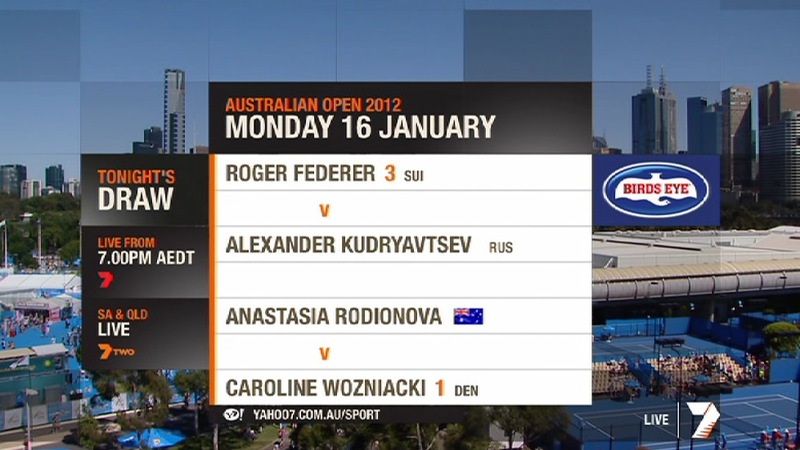 Of course the Australian Open is the first Grand Slam of the year and the main game. The event in its entirety has previously been listed on the Anti-siphoning list, meaning all matches must be premiered on Seven’s primary channel. This caused viewer outrage in 2010 when Serena Williams v Sam Stosur’s crucial match at the Australian Open clashed with Seven�s 6pm news bulletin. 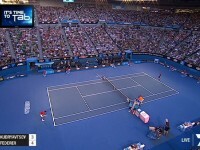 To the dismay of viewers Seven broke into its tennis coverage and went to the news, with no option for the viewer to continue watching the match. This was because Seven under the Anti-siphoning laws could not broadcast the match anywhere but its main channel because the Australian Open was a listed event. This was rectified for the 2011 Australian Open, when Seven had permission to switch coverage to 7TWO when matches ran into the news. In anticipation of the long-awaited changes to the Anti-siphoning laws, which were announced in December 2010, but are yet to have been passed through parliament, the Minister for Broadband, Communications and the Digital Economy Senator Stephen Conroy issued a new amendment to the Broadcasting Services (Events) Notice (No. 1) 2010 on 5 January 2012 which removed from the list “all matches, except for the men�s and women�s singles finals, held as part of the 2012 Australian Open.” This means Seven can premiere any matches except the singles finals on 7TWO. 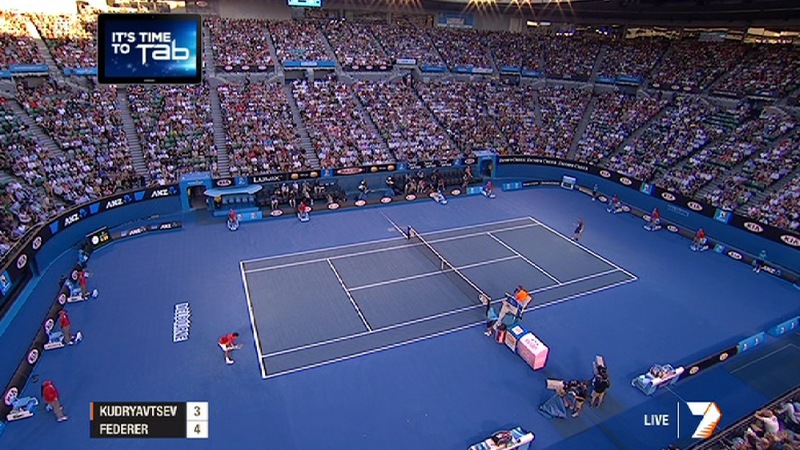 This is great news for viewers in Queensland and South Australia as they are receiving live coverage of the night sessions from Melbourne Park, despite the half-an-hour and hour time differences (as seen in the graphic from Seven below for live coverage on Day 1). Under the proposed structure for the amended Anti-siphoning laws (which will hopefully pass through Parliament soon), the list is to be split into two tiers, A and B (the proposed lists can be seen here). Events on the A tier are those events of iconic importance that if purchased by FTA must be broadcast on their main channel, live and in-full (with a few minor exceptions such as concessions to allow coverage of overlapping events, or where an event overlaps with the news). The B Tier list of events includes more regular season games (rather than one-off iconic events). The FTA networks will be able to broadcast or premiere the sports listed on the B Tier on any of their channels, including their digital-only channels. Events on Tier B must be shown in full, and be broadcast within four hours of the event starting. Under the proposal the men’s & women’s singles finals of the Australian Open are on Tier A whereas all other matches are on Tier B.
Whilst we are no closer to knowing when the amendments to the Anti-siphoning laws will be passed or even introduced into Federal Parliament, this is another sign of the flexibility the new amendments will provide free-to-air networks in scheduling sports content to ensure it is live and available to the most number of people. Frost Global will keep you updated with any further news on the Anti-siphoning laws.